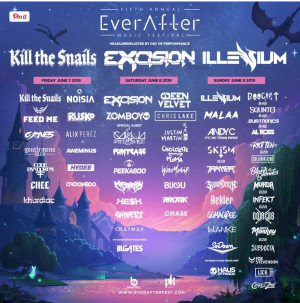 Ever After Music Festival has finally announced their 2019 lineup. They will return for its 5th edition in Kitchener, Ontario this June 7, 8, & 9th, 2019. With a goal in mind to solidify their position as Canada’s best festival, this lineup will do just the trick. Some standout names that are set to hit the stage are Chris Lake, Feed Me, G Jones, NOISIA, Rusko, Green Velvet, Justin Martin, MALAA, and Zomboy. 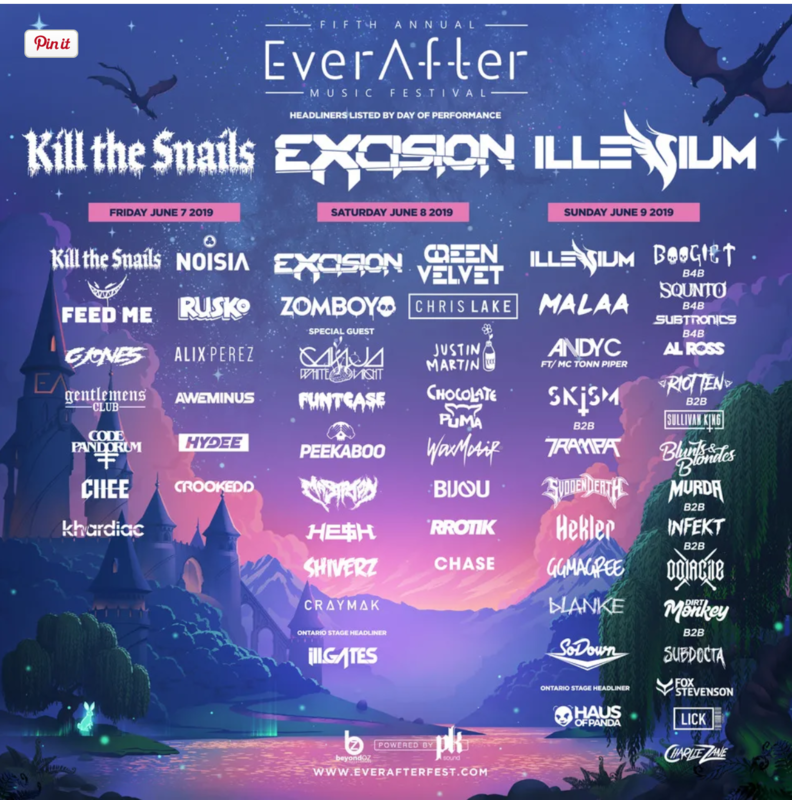 The headliners that you won’t want to miss are Excision, Illenium, and Kill the Snails, (Snails B2B Kill the Noise). They will be making their Canadian debut! After some 2018 setbacks, Ever After is determined to make the health and safety of their patrons their very first priority. The 2019 edition is set to have five times as many taps and water stations, and three times as many bathrooms.